The Engineering sector is vital to the UK’s economy; however, it is currently dealing with a skills shortage of over 170,000 skilled workers. Combine this with an annual growth rate of about 1.5-2% each year and an estimated 2.6 million new jobs in the next ten years to meet the predicted demand, and its easy to understand why experts are predicting a skills crisis. So why aren’t young people in 2019 being enticed by Engineering careers? One Poll for The Royal Academy of Engineers found that only 14% of 11-18 year olds asked are aware that engineering roles are prevalent in the music industry. 8% knew that food, drink and sports industries rely on the work of Engineers, and less than 16% of teens realised that You Tube and Facebook were created by engineering professionals. The impact of these misconceptions are reinforced by the 2018 Annual Report by EngineeringUK, which revealed that there has been a 10% decrease in GCSE entries for Biology, Chemistry and Physics between 2012 and 2017 – figures that fuel concerns over the predicted skills shortage. While it is true that the rise in new technology is going to change the way we all work, Engineers are still going to be very much in demand and will continue to contribute to the development of technology. The ageing workforce and the impact of Brexit are making it more important than ever to ensure that new talent is entering the industry – something that employers are well aware of with 83% of UK manufacturers admitting there’s a need to invest in staff skills in order to take advantage of developing digital technology. Engineering is often seen as a profession that relies solely on practical skills – but this is a complete myth. Yes analytical skills, attention to detail and critical thinking are all important when it comes to a career in the industry, but creative thinking is just as important when working as an Engineer. Considering that some of the pioneers of modern technology such as Steve Jobs, Mark Zuckerberg and Bill Gates started out as Engineers, the creative and inventive possibilities are endless. Music engineering is one example of how creative skills can be put to use in the sector. Okay, so it may be true that Engineering is traditionally a male-dominated industry, but things are changing. In 2018 females made up 12% of UK Engineers which has almost doubled since 2008. Meanwhile companies are actively encouraging females to apply for engineering jobs and engineering apprenticeships. Women in Engineering are recognised annually by the IET Young Woman Engineer of the Year awards and the WISE conference and awards; showing that along with awareness days such as ‘International Women in Engineering Day’, the industry is working hard to promote STEM careers to girls and women. It seems to be a common belief that a day in the life of an Engineer is the same old same old, but when you consider that some of the world’s leading industries from music to fashion and construction to broadcasting rely on the work of Engineers, its becomes clear that it is a career with an almost endless variety opportunities! The fastest growing sectors in engineering are chemical, petroleum, space and aerospace. It is expected that there will be a demand for approx 27,000 new commercial planes, while jobs in space engineering are growing by almost 8% annually. In 2017, it was reported that Engineering graduates earn over 22% more than graduates of other UK degrees. Starting salaries in Engineering in are around £27,000 per annum, while those in senior roles (the top 10% of the profession) can expect to earn upwards of £110,000. The average salary of Engineers in the UK is approximately £40,000 a year. (source; The Telegraph) . To put these figures in perspective, the national average pay in the UK is £27,607 (according to ONS). 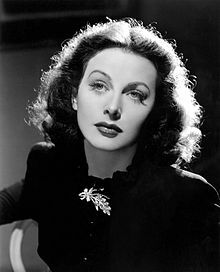 Did you know that “the mother of Wi-Fi” was also known as “the most beautiful woman in films”? Did you realise that the first Computer Programmer was a woman? Today is International Women’s Day, so our thoughts have turned inspiring females in history - particularly the women who beat the stereotypes and changed the face of Engineering. Born in 1893, Edith Clarke had a keen interest in mathematics as a child, and after studying Civil Engineering at the University of Wisconsin-Madison, Clarke went on to become the first woman to earn a MSc in Electrical Engineering. At the time of Clarke’s graduation, attitudes towards women in the workplace were very different from today. However, despite struggling to find work as a graduate, Clarke landed a job working for General Electric, whilst in her own time working on the “Clarke Calculator” - a graphical equation device, which she was confident would become common – and rightly so. Without her invention, and its ability to increase the efficiency of electric current and voltage equation-solving, long distance energy would not have become as prevalent as it is today. As well as being given several major honors for her achievements in electrical engineering, she was the proud recipient of the Society of Women Engineers’ lifetime achievement award in 1954. Her impact on electrical engineering is still recognised today, and in 2015 she was posthumously inducted into the US National Inventors Hall of Fame. Hedy Lamarr may now be dubbed “the mother of Wi-Fi”, but she was best known as a film star between the 1930s and 1950s and was often referred to as “The Most Beautiful Woman in Films”. Lamarr dated a pilot, Howard Hughes, and was inspired by his desire to create faster planes that could be sold to the US Military. Hughes gave Lammar a small set of equipment that she could use in her trailer while on set, allowing her to work on inventions between takes. Quoted as saying “improving things comes naturally to me”, she went on to develop an upgraded spotlight, as well as a tablet that dissolved in water to make a drink similar to Coca-Cola. Her most significant invention, however, was during World War II, where Lammar and Music Composer, George Antheil, developed a radio guidance system with the intention of it being used to guide torpedoes to their targets during combat. Their method used frequency hopping amongst radio waves, with transmitter and receiver hopping to new frequencies together. This invention allowed the torpedo to find it’s target by preventing the interception of the radio waves. Following the Navy’s decision against using the new system, Lamarr and Antheil were finally rewarded with the Pioneer Award in 1997. She was also the first female to receive the Invention Convention’s Bulbie Gnass Spirit of Achievement Award. Following her death in 2000, Lamarr was inducted into the National Inventors Hall of Fame for the development of her frequency hopping technology, which served as the foundation for the wireless communication that we use today. During World War II, women were needed in the workplace whilst the men were called to duty. It was at this time at Frances Synder Holberton was employed by Moore School of Engineering as a ‘Computor’ - manually calculating complex ballistic trajectories. In 1945 Holberton was among six women selected to program the first all-electronic digital computer, ENIAC. By 1959 she had become Chief of the Programming Research Branch, Applied Mathematics Laboratory at the David Taylor Model Basin where she helped to develop UNIVA, wrote the first generative programming system and the first statistical analysis package for the 1950 U.S Census. After her involvement in the development of the C-10 instructions for BINAC (widely considered to be the origins of the programming languages used today), Holberton created the numeric keypad, still used today. In 1997 all six of the original ENIAC programmers were inducted into the Women in Technology International Hall of Fame, and Holberton was the only one of her colleagues receive the Augusta Ada Lovelace Award. 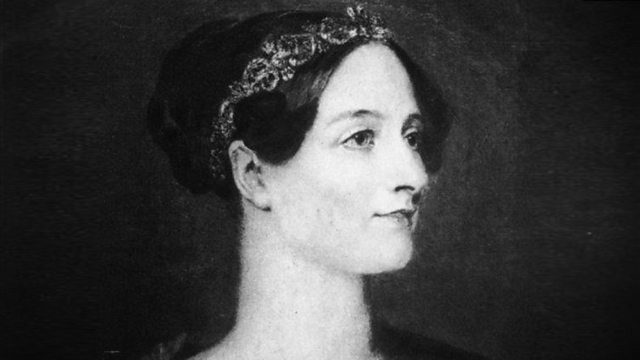 We couldn’t write about the women of Engineering and not mention Ada Lovelace! Born in the mid-1800’s, Ada Lovelace was born into an aristocratic, wealthy family in London. In those days, there were no places for females in Universities. However due to Ada’s prestigious background she had access to private tutors who taught her Mathematics and Science – subjects that were then considered as too challenging for women! Lovelace displayed a talent for numbers and language, and at the age of 17 she met Charles Babbage, a Mathematician and Inventor who quickly became a mentor to her. It was through Babbage that she began studying Mathematics with University of London Professor, Augustus de Morgan. Babbage had come up with the concept for an infallible steam-driven or hand-cranked calculating machine. Lovelace became fascinated with Babbage’s idea and requested the machine’s blueprints - determined to learn how it worked. Later, when asked by Babbage to translate a French article on the analytical engine, Lovelace didn’t just translate the paper - she also added her own thoughts and ideas for the machine. Her notes were three times more extensive than the original article, and it has been argued that the final published work was mostly hers. Adding algebraic workings to the notes, she described in detail how code could be used to allow the engine to handle letters and symbols, allowing the device to repeat a series of instructions (known as looping) - a method which is still used today. She also detailed the world’s first algorithm; The Benoulli Number Algorithm. It was during this time that Lovelace discovered that the machine could go beyond numbers; she realised that anything could be converted to numbers (i.e. music, the alphabet, images) and then manipulated by computer algorithms. She had discovered that an analytical engine had the potential to change the way the world worked. This paper was later thought of as the first ever idea of the first version of computers that we know today. It is because of this that Ada Lovelace is now recognized as the first computer programmer. Sadly, the article attracted little attention while she was alive, with her contribution to computer science going unrecognized until 1953 when her notes were published by B.V Bowden. Roughly 90 years after Ada Lovelace’s death, Alan Turing, who would go on to develop the machine concept that began the modern age of computing, read her work. While he disagreed with her belief that computers could only ever follow human instruction and couldn’t ever ‘think’ independently, the concept of a machine that could be more than just a calculator was put into practice by Turing during World War II. Turing worked with code-breakers at Bletchley Park to build and use the world’s first electronic computers. In doing so, Lovelace’s concept of a computer and algorithms were put to work.